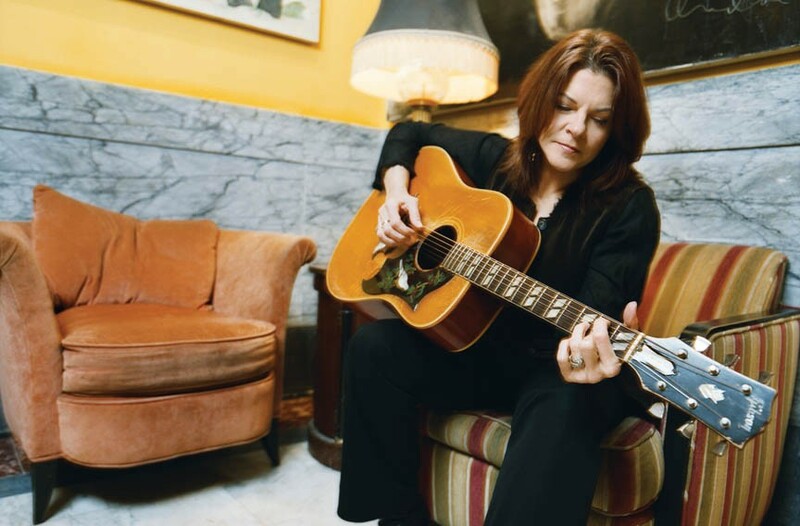 Rosanne Cash | 2012 Folk Fest Guide | Style Weekly - Richmond, VA local news, arts, and events. Rosanne Cash is a renaissance woman. The singer not only has been making award-winning American roots music for 34 years, but also is a prolific writer, penning numerous books and essays for the publications such as Oxford American and The New York Times. She's also a longtime children's rights advocate who supports numerous charities, including one right here in Richmond: Children Inc. When Style Weekly caught up with Cash, she was on a Shakespearean high, having just visited the Globe Theater in London for a stirring performance of "Richard III." "I'm in the midst of a deep Shakespeare obsession right now. I just lifted a phrase from the sonnets for one of the new songs — 'jewel in the shade,'" she confesses. It's the music and teachings of another bard — her father — that resonate most with Cash. The eldest daughter of the incomparable Johnny Cash and his first wife, Vivian Liberto, Cash alarmed her dad while on tour with him in 1973. She wasn't familiar with certain songs he'd mention, so he grabbed a legal pad and wrote out a list of 100 Essential Country Songs, something he described to the teenage Cash as "your education." Her most recent album, "The List," draws on those recommendations. "The breadth and depth of that list doesn't really surprise me as much as inspire me," Cash says. "Protest songs, Southern gospel, Appalachian, it was all there," she adds. As the mother of five, Cash believes parents play a huge role in shaping their children's appetite for music and could learn a thing or two as well. "I think it should be an exchange of ideas, not a river that flows only one way. My dad exposed me to truly great music, and in fact gave me an entire education in roots music, but he was eager to be exposed to new music as well," the singer says. "I sent him Bruce Springsteen's "Nebraska" when it first came out," she adds, "and he ended up recording two songs from that record. Our musical dialogue was an endless source of delight." While Cash, 57, acknowledges that her earliest musical memory is "too early to identify," she says her father's songs "I Walk the Line" and "Hey Porter" are two that have always been a part of her consciousness. She hopes that young folks heading out to her performance at the Richmond Folk Festival will take away a few memories of their own, in particular "a sense of the relevancy of American roots music." There's a good chance that we'll hear some new material from Cash, as she and husband, John Leventhal, have been working on an album of songs inspired by people and places in the South, a project Cash is ecstatic about. "The songs are not all in first person. There are stories of people I know, it's more character-driven, and the songs have a rich sense of place," the singer says. "I am as inspired and excited about this as if it's my first record!"